Pang Xunqin (1906-1985) was one of the leading oil and guohua ink painters in 20th century China. After briefly studying oil painting in Shanghai, Pang spent the years 1925 to 1930 in Paris studying various forms of art. He then returned to Shanghai and founded the Storm Society, Juelanshe, which advocated a series of modern art movements in China. During the Second World War (1939-1945), he took refuge in west China like many other artists. It was then that Michael Sullivan (1916-2013), who was working for the International Red Cross in west China, and Pang became friends for life. During the war Pang taught in Kunming, Yunnan province, and later in Chengdu, Sichuan province. After the war Pang continued to teach in various academies and founded the Central Academy of Arts and Crafts, Beijing, in 1956. However, three years later, during the Great Leap Forward (1958-1961), he was branded a ‘Rightist’, and therefore an enemy of the state. He was not exonerated until 1976. This painting was done after Pang’s vindication and the theme is a water scene in Suzhou, Jiangsu province. Pang was teaching again in 1979, and during that time he took a group of students to Suzhou on an art trip, where he himself produced many sketches. 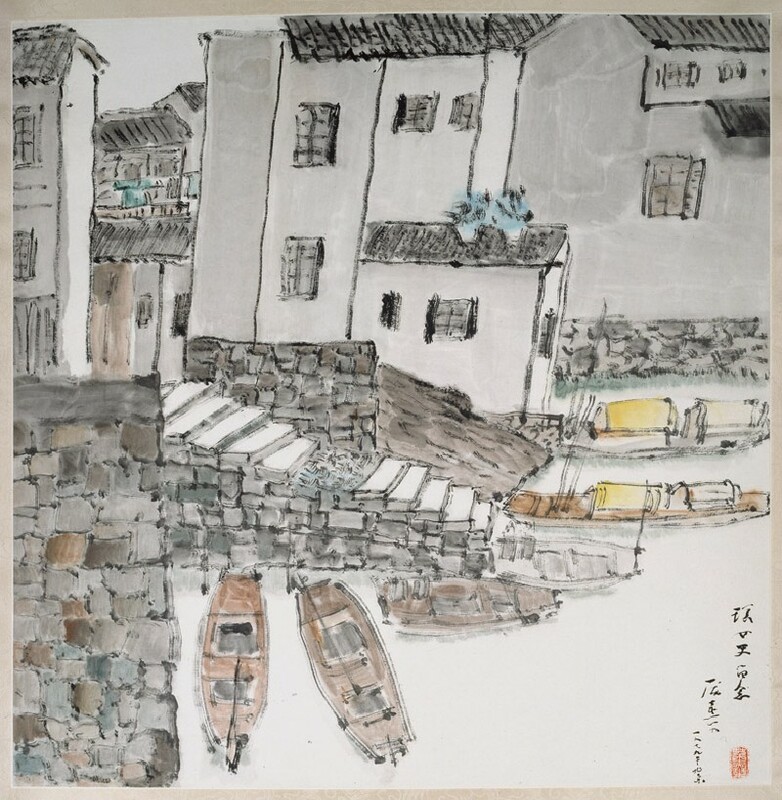 This painting may have been based on his memory of that visit to Suzhou. The artist added an inscription to Khoan (1919-2003) and Michael Sullivan (1916-2013) to this painting when they visited China later in the year. 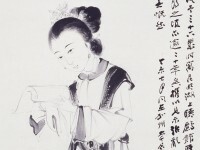 The inscription reads ‘For Madame Khoan to keep as a memento.’ An oil painting with a similar subject and composition is now in the National Art Museum of China, indicating Pang’s continuous exploration in different mediums.